When people find out that I moved to Costa Rica from Niagara Falls, New York, one of the first things they ask is if I miss much from the City of the Cataracts. Before coming to Costa Rica on a permanent basis, I knew and accepted that there would be some things I would obviously miss right away (like the DiCamillo bakery, Viola’s subs, family, and friends), and unforeseen aspects of life later on. I tell them about DiCamillo’s bread, the expected things we tend to miss, and might also mention gulls and bird migration. In the temperate zone, migration in spring and fall are the two celebratory birding times of the year. If the tribe has a holiday season, the double peaks of migration are good candidates. In Niagara, these were the glorious times of the year when different birds came to town and I saw many of my lifers; days with hundreds of beautiful Bay-breasted Warblers high-pitched singing from the treetops, those four Cerulean Warblers half way up the different shades of green on a May day in the 1980s, a rare Prairie Warbler seen sans binocs during a September fall-out that coincided with an eighth grade excursion in 1984 (warblers were in every single tree, bush, and some were on the ground). All on Goat Island, the special place that separates the cataracts into the Horseshoe Falls and the American Falls, and the place where I began my birding. 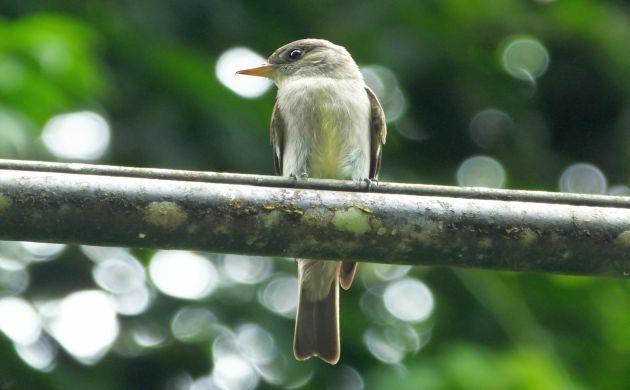 Quiet birds: Unlike the constant bird song of a northeastern May, spring in Costa Rica is a quiet one for migrants. Resident birds are singing away but you would be lucky to hear chip notes from the temporary birds. They stealth their way through the country and don’t seem to even call as much at night. Some nocturnal migrants can be heard but after spending several hours listening, I have never heard nearly as much as the call notes during a night in the north. The absence of Bobolinks is partly why we don’t hear as much but there also seem to be fewer calling thrushes, warblers, and so on. In addition to Swainson’s Thrushes, most of the birds one does hear are Dickcissels, occasional Upland Sandpipers, and a few other species. In fall, it’s the same quiet, stealthy stuff. 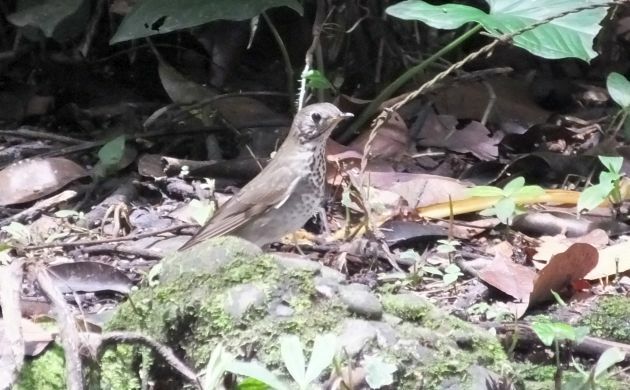 With luck, you might hear a Gray-cheeked Thrush– an uncommon migrant in Costa Rica. 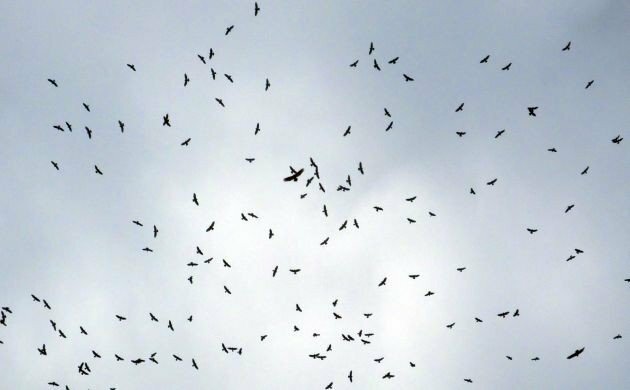 Quick passage: Birds are really on the move when passing through Costa Rica. Instead of seeing a few Eastern Kingbirds here and there, flocks fly over, especially along the coast, all the while looking like false swallows. 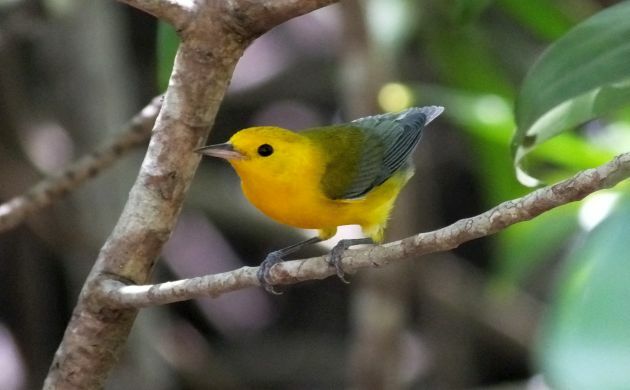 Thousands of veritable swallows and Chimney Swifts are also quickly flying overhead, and sometimes, orioles, Prothonotary Warblers, and Red-eyed Vireos rush through the foliage during the day. Other birds forage like typical famished migrants and are gone from one day to the next. Most migration happens on the coast: Some birds do migrate through the mountainous center of the country but the majority seem to be down on the Caribbean coast. This is where one sees a constant aerial stream of Purple Martins, swallows, and swifts, flocks of small birds moving through coastal vegetation (including groups of Prothonotary Warblers), pewees everywhere, lots of non-calling Traill’s Flycatchers, and various other species on the move. One of those very many pewees. Fewer species but Big numbers: We don’t get as many wood-warblers, vireos, or other migrant species but we do get large numbers of Eastern Kingbirds, Chimney Swifts (imagine a constant stream of swifts for hours), wood-pewees, Scarlet Tanagers, Blackburnian Warblers, various shorebirds, and other species that winter in South America. 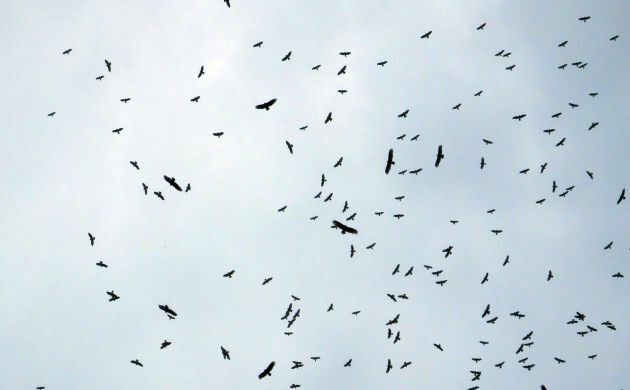 Including thousands of migrating Broad-winged and Swainson’s Hawks, and Turkey Vultures. Like the birds that fly thousands of miles south and north each year, I feel restless in September and May. I feel the need to go outside and look up into the sky, and into the tops of trees, to listen at night. I yearn to be back on Goat Island but am also content with seeing Blackburnian, Black-and-white, and Black-throated Green Warblers here instead of there. Seeing a Slaty-tailed Trogon looking back at you from time to time also helps. 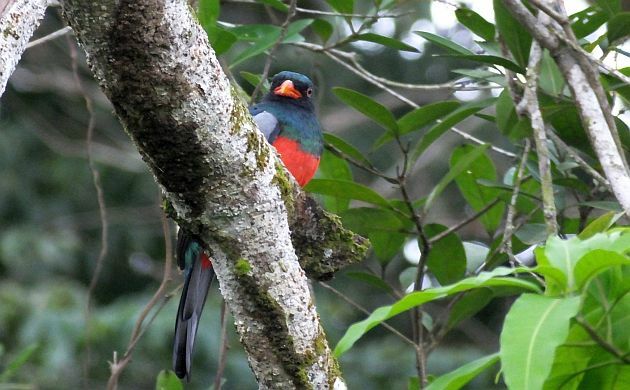 Wonderful photos, especially that last one of the trogon! Where Are You Birding This Third Weekend of October 2015? THE BIGGEST URBAN PYGMY CORMORANT ROOST IN THE WORLD DECREASED!